Corp. Co H, 4th ME Inf. Biddeford – David E. Grindle, 96, formerly of 367 Alfred St., died Friday at the Notre Dame Unit of the Webber Hospital Association after an extended illness. He was born in Sedgwick, Nov. 25 1882, son of John A. and Laura E. Eaton Grindle, and was educated in Sedgwick schools. Before his retirement, he was employed for many years as a machinist for the Saco Lowell Shops. 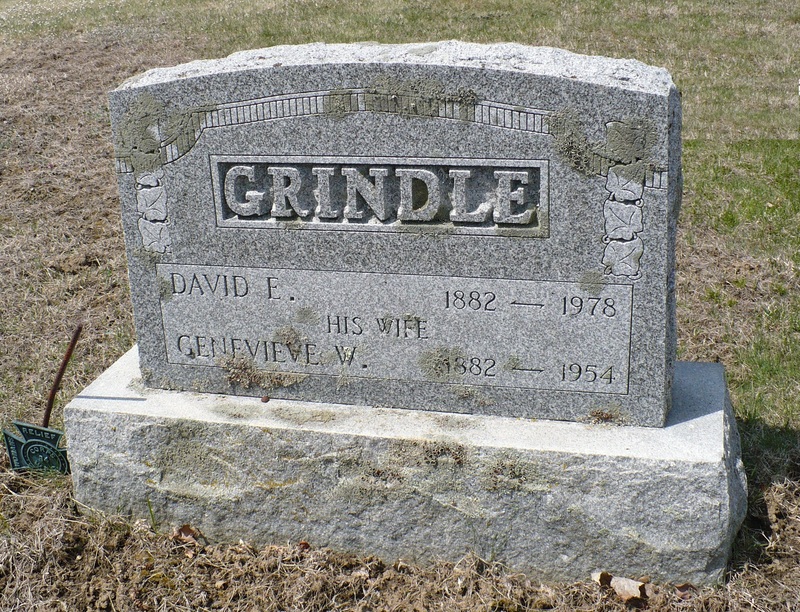 Grindle was a member of Goodwin Mills Grange and the Sons of Union Veterans. He is survived by a daughter, Mrs. Roy Goodwin of Saco; two grandchildren; nine great-grandchildren. Funeral services will be held Saturday at 1:30 p.m. at the Shumway-Gross Funeral Home, 35 Spring St., Saco. Interment will be in Greenwood Cemetery, Biddeford.